Computer Lab: The Senior Computer lab is equipped with smart board as well as 32 workstations where children learn to make and present PowerPoints with latest techniques, Q basic programming, Flash Animations, Advanced Microsoft Office systems. Science Labs (Physics, Chemistry, Biology): The various experiments related to the science syllabus and done by the students under the supervision of by qualified technicians and subject facilitators. Lab Manuals are an inherent requirement for assessments in Science. It is also a store house of various working models which are created throughout the year and presented during our annual science exhibition in January. Math Lab (Mindspark): In the Math Lab, students have access to a custom-made, adaptive learning system called Mindspark that is designed to make mastering math both fun and goal-oriented. 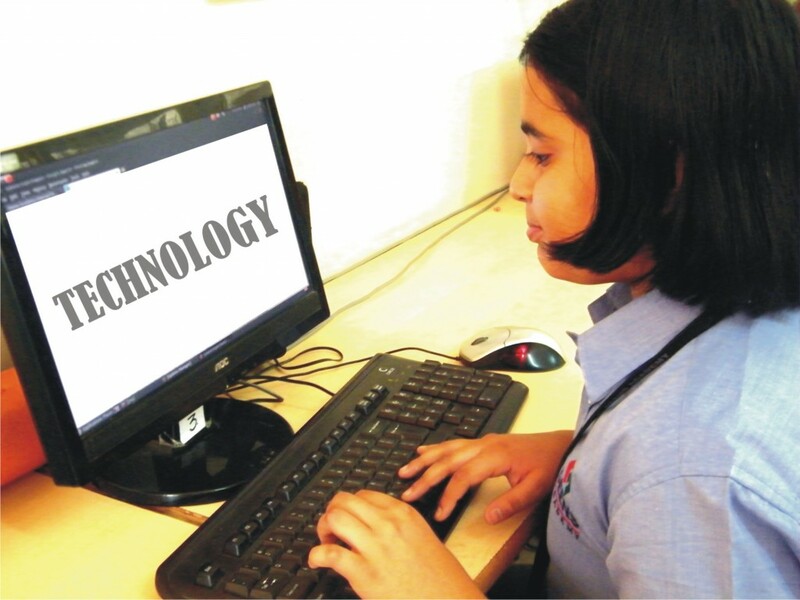 Loaded on all 26 of the laboratory’s computers, the adaptive logic of the program gauges the child’s learning level and assesses knowledge gaps and the grasp of concepts through finely graded questions of varied difficulty levels. It allows each student to proceed at his or her own pace, depending on the existing comfort level of a particular concept. This program is a storehouse of virtually unlimited, individualised practice sessions and being internet-based, offers children the flexibility to solve problems from the comfort of their homes. The Library: at the Admin block is equipped with over 15,000 educational and recreational books as well as other multimedia resources for both, the students and staff, to access. The spacious, airy library has been designed to foster an interest in books and is intended to offer every child the opportunity to explore and develop his or her individual interests. It often becomes a hub for all projects done by the students. The library uses an integrated management system that ensures efficient day-to-day running, circulation and inventory management.